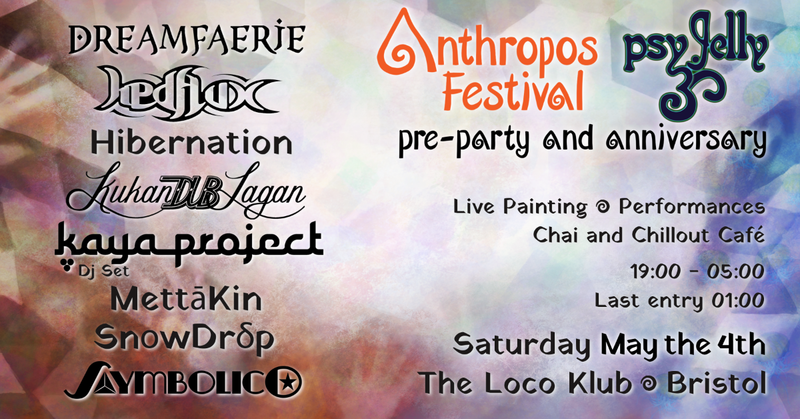 A small taste of what's to come at Anthropos Festival 12019 and a night to celebrate Psy Jelly's anniversary! Expect amazing music, art exhibition, live painting and performances. Chai and Chillout Café. Opening jam sessions. 7pm - 5am. Last entry 1am. 18+ only. Bring friends and good vibes! Early Bird: £10 + BF (very limited), Phase 1: £12 + BF, Phase 2: £15 + BF, on door (if available) £20.